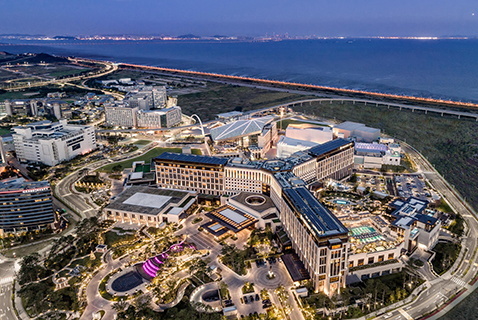 InvoTech Systems Inc. announces the recent implementation of its Uniform System at the Paradise City in Korea. InvoTech Systems is the leading provider of advanced Linen Management, Laundry and Uniform Systems that integrate the latest RFID technology to increase profitability for hotels, resorts, casino operators, sports arenas, convention centers and theme parks. The InvoTech System installed at Paradise City, manages the uniform inventory for 2,600 employees. Click here for more information on InvoTech’s Linen, Laundry and Uniform Systems. InvoTech’s Uniform System establishes a perpetual uniform inventory, providing extensive reporting capabilities to determine and forecast appropriate uniform purchases. The system also provides significant cost saving benefits by eliminating losses, reducing purchases, and lowering laundry expenses and labor costs. Uniform cleaning costs are entered into InvoTech and reports may be quickly generated to audit laundry expenses. The Uniform System manages Paradise City’s uniform inventory of approximately 25,000 uniform items. “The InvoTech uniform system maintains our employee uniform assignments and tracks uniforms to and from the laundry giving us complete control and accountability of our inventory. By assigning the uniforms to our employees every uniform item is accounted for and every employee is responsible for the uniform PAR levels assigned. The System is reliable, easy to use, and establishes organized processes for managing the wardrobe area and the uniform inventory,” Said Kim, Han Bin, Housekeeping Assistant Manager at the Paradise Hotel & Resort in Paradise City. The InvoTech Uniform System includes an electronic signature capture terminal that records employee signatures when uniforms are assigned, which eliminates the need to print reports to obtain signatures. In addition, all system reports can be viewed on the screen or generated to PDF files to be easily viewed or shared, which also facilitates a paperless “green” system. “The InvoTech system maintains an accurate inventory of the uniforms and manages employee uniform assignments. The system also has reporting capabilities to maintain optimum inventory levels, and to forecast the need for purchases in the event that a uniform fails to return from the laundry or from the employee, or if the laundry inputs data indicating that a particular uniform is no longer useable”, said Oswald Lares Director of Sales & Marketing at InvoTech Systems. InvoTech has over 600 of satisfied clients worldwide in more than 30 countries, including hotels, resorts, casinos, theme parks, stadiums, arenas, convention centers, medical centers, cleanrooms, and laundries. Why InvoTech? Because major brands like St. Regis, Hyatt, Marriott, Ritz-Carlton, Hilton, MGM International, Wynn Resorts, Caesars Entertainment, Universal Studios, LEGOLAND, Intel, Pfizer, Madison Square Garden, Staples Center and many more rely on InvoTech Systems to provide operational efficiency, full-accountability, and turn-key solutions for laundry, linen and uniform management. See what our clients are saying about us.